Guaranteed to get your feet tapping, Coach House Company play folk-inspired tunes with a big, big smile, as they fuse traditional jigs, reels and folksongs with instrumental virtuosity and compelling upbeat rhythms. 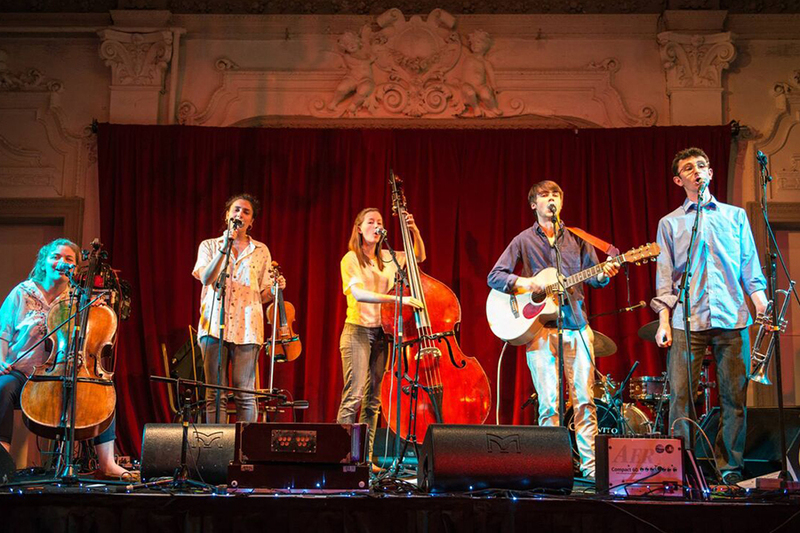 Original compositions and arrangements form the core of this five-piece band’s repertoire, with influences from ceilidh, classical and jazz. Coach House Company have a big and growing reputation. They’ve played the 100 Club, Ronnie Scott’s, Green Note and many more, to rapturous receptions wherever they appear. Expect to be thrilled whether you’re 16 or 60.